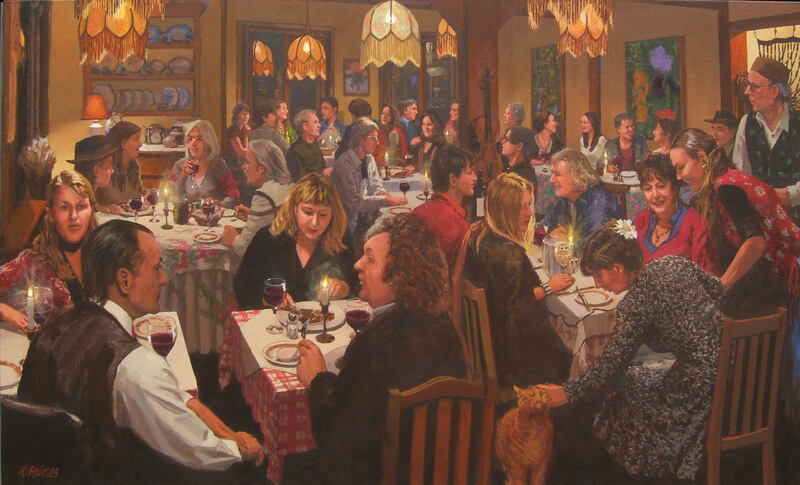 At the end of November 2007 I embarked on a project with a large group of friends to do a painting of them dining at our favourite restaurant here on Galiano Island. It was to be a group portrait done in homage to the good times we have shared together and to the richness we have added to each others lives in our creative interactions. Our host for the evening and patron of the project, René Mahlow, was also our waiter. 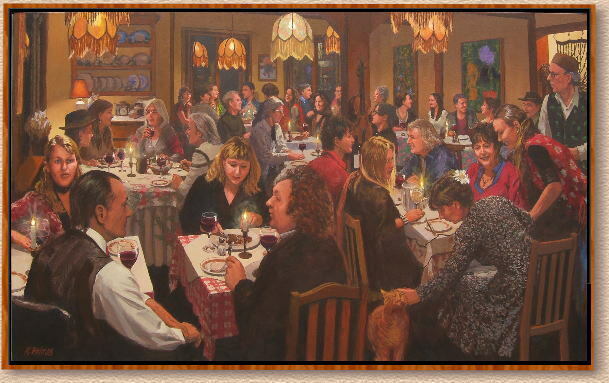 "Dinner Party at La Bérengerie"